Have you or a family member been injured in an auto accident as a result of the negligence of another person? Was an unmarked maintenance or a faulty construction the cause of your car accident? If so, our highly experienced Orlando car accident attorney can help! We have helped many clients in the past and would be honored to help you too! Call us today at 1-866-680-4LAW to talk to our auto accident attorney! A car accident can be a very stressful and devastating event. Beyond the pain and expense from your injuries, you may not be able to work for some time. In the most severe cases, you may not ever be able to return to the job you once held. Your car may require substantial repairs or you might even need a new car altogether. In these times, a personal injury lawyer can be of major assistance in helping you recover your full measure of damages. At LaBar Adams, our Orlando Car Accidents Lawyers serve injured people across Central Florida. Contact us today to discuss your claim! What To Do If Involved In A Car Accident? Contact a personal injury attorney. Our car accident lawyers in Orlando are well prepared to help you with this type of cases and are available 24 hours a day. If you have been injured by another driver, you will likely have to deal with their insurance company to obtain money damages for your medical expenses, lost income, pain and suffering, and property damage. It is vital to understand that insurance companies do not have your best interests at heart. Insurance companies are businesses, and their business involves minimizing what they pay in claims. If you try to negotiate with an insurance company on your own, there is a good chance you will not get everything that you are entitled to. 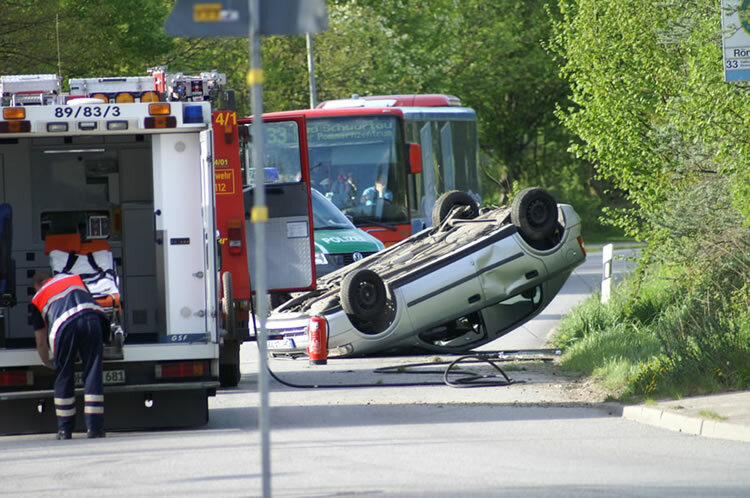 Hiring an experienced auto accident attorney can help you avoid costly mistakes! Our Orlando personal injury attorneys have helped many seriously injured people in auto accidents, and have an understanding of what your legal claim is worth. We understand that many car accident injuries, such as with back injuries or a spine injury, it can take some time to determine the full scope of your injuries. We will never advise you to accept a "quick and dirty" settlement. Rather, we will closely examine the circumstances behind your accident and discuss your course of treatment with your doctors to help you receive the best possible care. Get Help From Our Orlando Car Accident Attorneys! If you or someone you care about has suffered injuries in an car accident because of the negligence of others, call our auto accident lawyer in Orlando at 407-835-8968 or Toll free at 1-866-680-4LAW. You may also fill out the online form located at the top of this page and one of our personal injury attorneys at LaBar Adams will contact you shortly. It is very important for you to understand that legal claims of car accident injuries in Florida must be brought within a specific time frame. As a result, the sooner you get in touch with our personal injury lawyers, the better. We can meet you at home, the hospital or another location if you cannot come to our office in downtown Orlando. Learning to Share: Why Can’t Florida Motorists and Bicyclists Along? Car Accident Liability: Who Is at Fault? I contacted Ryan LaBar concerning an accident my husband involved with, he was very professional throughout the whole process, he was always available for contact and is very trust worthy. We also won the case! My auto accident occurred on July 17th 2015, and during my road to recovery, the best choice I made was working with Ryan LaBar. I am from New York City and while on vacation in Florida, I had a terrible car accident. Mr. Labar took my case and was professional, precise, informative, well timed, and he guided me through every step. Communication is key and Mr. Labar over exceeded my expectations. I am very thankful for his assistance through this process and would highly recommend him to all who are in need of legal assistance. A car accident in Orlando Florida left my fiance and I in need of an attorney as neither insurance company was willing to cooperate. We quickly realized we were facing an uphill battle and desperately needed an attorney and sought the counsel of LaBar Adams PA. After speaking with Atty. LaBar for sever minutes, we quickly came to the conclusion that this was the attorney for us. He was easy going, answered our questions concisely, and unlike the other attorneys, he wasn't pushy or just trying to get us to sign on with his firm. He never promised anything he couldn't deliver, and was more interested in helping us recuperate than he was in the money. With his help, we were able to get our lives back on track expeditiously. This lawfirm's reputation precedes it and is justly deserved, and I would highly recommend LaBar Adams to anyone in need of an attorney! My son and I were involved in a car accident last May. We had never filed a claim before and were new to the system. Mr. Labar guided us through with great care and was very aggressive with the insurance carrier. I believe in the end, we were fairly compensated for our injuries. Our Orlando law firm was founded with the belief that practicing law is a privilege. As such, our mission is to improve the lives of our clients by helping them achieve their goals. No case is too large or too small — our goal is to improve the community in which we live, one client at a time.